Nine years ago, the Brewers Association created American Craft Beer Week to help celebrate and honour the small and independent craft breweries across the country. With more than 2,700 craft breweries currently operating (and plenty more planning to open), America continues to celebrate its love and support for Craft Beer. This year's American Craft Beer Week starts on May 12th and runs to the 18th. 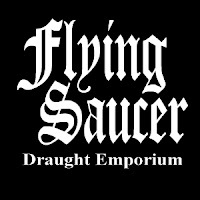 Although the ACBW website has a list of events, I'd check with your local beer bars and breweries as many local events probably don't get added. Flying Saucer Sugar Land is hosting an Oskar Blues Brew Nite and Wing Throwdown at 7:00pm Wednesday, April 9th. Special beer tappings include a tequila barrel-aged GUBNA Imperial IPA, barrel-aged Ten FIDY Russian Stout and more. 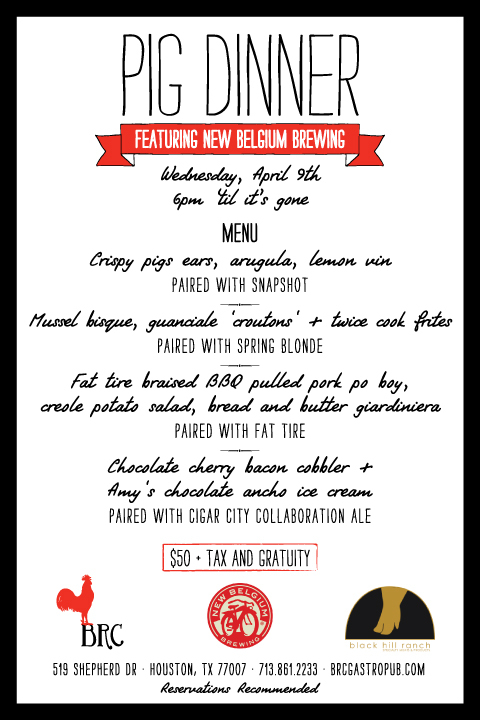 The next Pig Dinner at BRC Gastropub will take place on Wednesday, April 9th and features four courses paired with beers from New Belgium Brewing. Reservations are welcome, but the special Pig Dinner menu is available starting at 6:00pm until it's all gone. The cost is $50 per person (plus tax & tip). The next dinner will be May 14 with Firestone Walker Brewing Co.
Pre-party featuring Ommegang's limited edition, Game of Thrones, Fire and Blood Red Ale with special glassware!